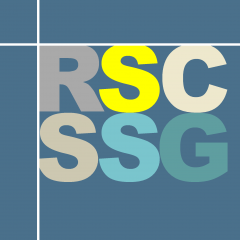 The Royal Society of Chemistry’s Separation Science Group, the Environmental Chemistry Group, and the Water Science Forum are very pleased to announce a joint meeting on the Latest Advances in the Analysis of Complex Environmental Matrices, to be held on Friday the 22nd of February 2019, at the RSC’s Burlington House venue in London. As suggested by the title, this meeting will highlight advances in the analysis of complex environmental matrices such as soils, sediments, water and air, by GC, HPLC, MS and cheminformatics-based approaches. The programme includes talks on a diverse and fascinating array of topics, including (but not limited to) the use of machine learning for ecotoxicology, automated sample preparation methods for pesticide analysis and the use of GC x GC TOF for remote atmospheric monitoring. The keynote lecture will be delivered by Dr Emma Schymanki (University of Luxembourg, Luxembourg), on the use of environmental cheminformatics for the identification of unknown chemicals. Registration is open till the 19th of February, and further details, including a full agenda, can be found here.